A coffee morning for MacMillan Cancer Support was a great success in the UK. Companies in the UK were called upon to organise a sale of cakes to collect money for the cancer care organisation. Along with thousands of other UK companies, WIKA UK decided to participate in this initiative and help towards this cancer care organisation. 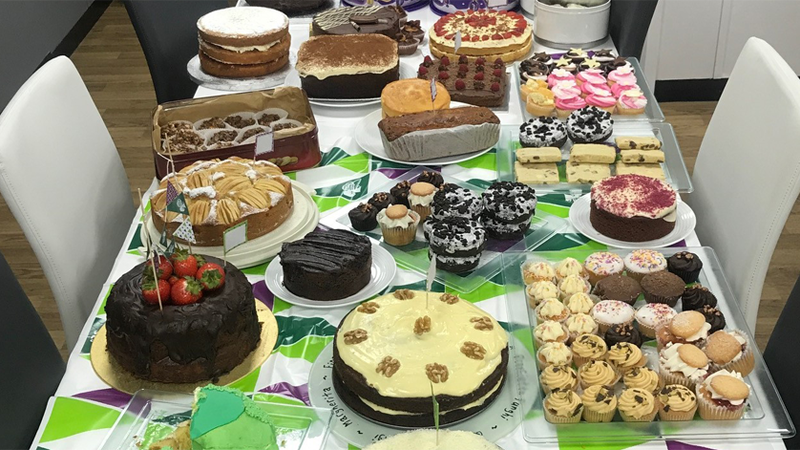 At the WIKA sites in Merstham and Swanley, delicious, home-made cakes and muffins were sold, bringing in a total of £269 (slightly more than €300). This is a great piece of team work, with many colleagues taking part in the combined baking and selling effort. Even a cake competition was organised. The winner was awarded with a bottle of champagne for baking a tasty carrot-walnut cake. In total, the MacMillan Cancer Support organisation was delighted to obtain revenues of £21 million (almost €24 million) – great commitment for a great cause.